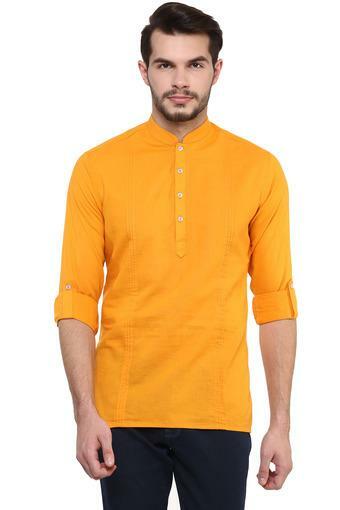 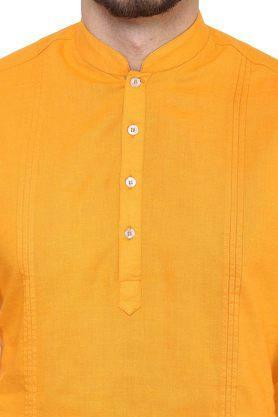 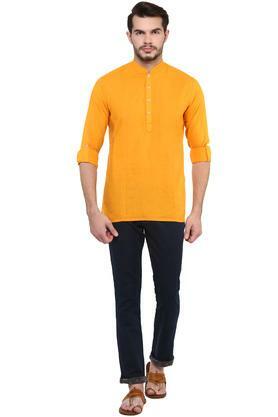 Head to any casual outing in style by wearing this kurta from the house of Ethnix. It features a solid pattern that is further accentuated by a mandarin collar while the full sleeves further add on to the design. 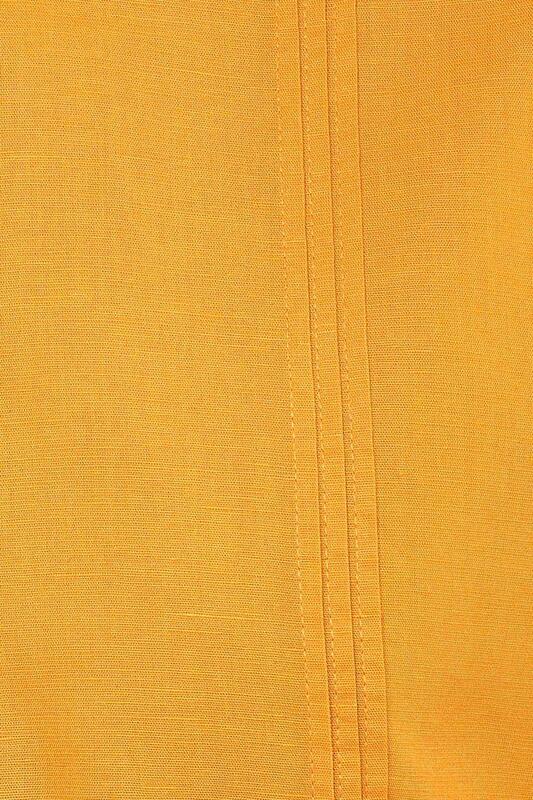 Besides, it is also comfortable to wear as it has been crafted with care using premium quality fabric. 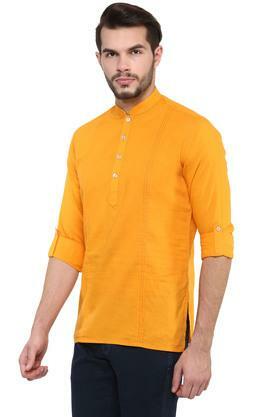 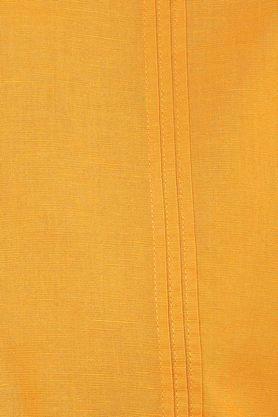 Enhance your ethnic wear collection by adding this kurta. 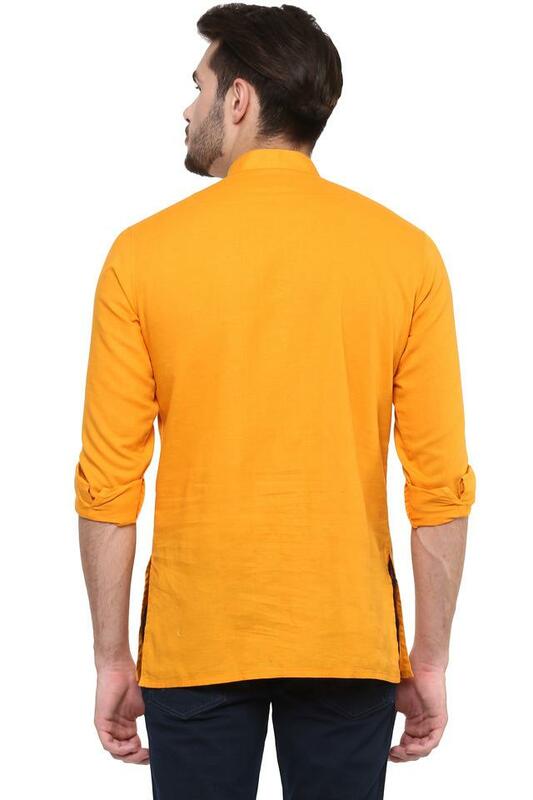 It will look good with a pair of jeans and slip on shoes.